Exploring the grassroots movements of social protest that flourished in the urban North during World War I, and the postwar racial counterrevolution, Black Protest and the Great Migration chronicles the move of Southern African Americans into the urban North during World War I and into the 1920's. 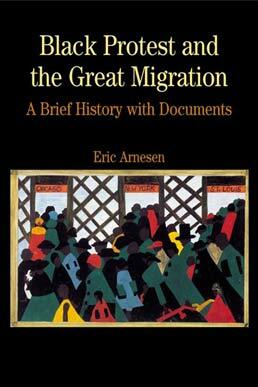 Using a unique collection of articles from a variety of northern, southern, black, and white newspapers, magazines, and books, the text explores the impact of the Great Migration. Introduction: "The Great American Protest"
"The Truth about the North"
Heading South? or Coming North?